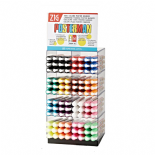 Zig Posterman waterproof chalk markers are highly opaque and waterproof chalk markers that can be used outdoors and indoors and are effective on surfaces such as glass, plastic, metal, wood and stone. 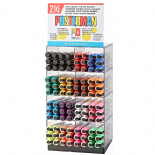 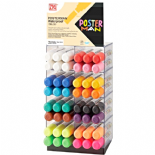 Zig Posterman waterproof chalk markers work exceptionally well on blackboards, chalkboards and whiteboards as well as glass, metal, plastic, stone and much more. 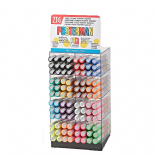 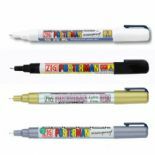 Zig Posterman waterproof markers are semi permanent and are available in 7 different sizes.